I was delighted last week to introduce KAZSEED to the world, as part of Kusto Group’s rapid expansion of our agriculture division. This latest development has been undertaken in partnership with our friends at Baumgartner Agriculture Science and Service (BASS). BASS is one of the leading non-GMO seed producers in the world and this is an especially exciting time for Kazakhstan. 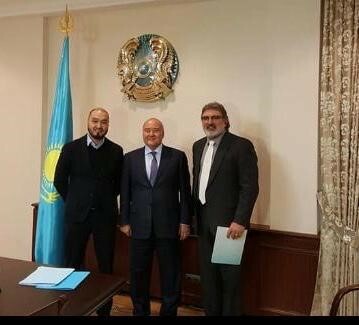 Our farmers will finally get access to world class seeds, specially selected for the climatic and environmental needs of Kazakhstan. I am proud that foreign investors of this calibre are recognising the enormous potential of Kazakhstan’s farming industry and the fantastic opportunities on offer. I am particularly pleased that Kusto Group is at the forefront of this exciting new phase that will bring prosperity and opportunity to countless others. KAZSEED will continue Kusto Group’s ongoing efforts to introduce cutting-edge technology across our day-to-day operations. This is something I am passionate about as demonstrated by the $25m invested into this project. Higher quality technology has the power to change peoples lives for the better and I want to see that we do all we can to ensure this is the case in for Kazakh agriculture. I am also pleased to see the Kazakhstan government’s support and involvement. This project is being developed in close cooperation with the Ministry of Agriculture to produce fodder seeds for the benefit of the entire country’s agriculture sector and beyond. It is essential that businesses and companies work together in the interest of society’s wellbeing. It is an attitude I have adopted throughout my career and my door is always open to partnership with like-minded institutions in the many countries in which we operate. Deputy Prime Minister Shukeyev spoke of advanced enterprises being instrumental in improving labour productivity and export volume. These are aims I support wholeheartedly, and I want to see Kusto Group play a proactive role. There can be no more noble aim in business and in life to help people improve their livelihood and enhance their personal skillset. KAZSEED has the potential to significantly boost employment and prosperity in local communities in my Kazakhstan. Businesses have a responsibility to uphold these values and at Kusto they are core to our way of thinking. I am excited that our American friends at BASS have partnered with Kusto and believe in Kazakhstan. With hard work and strong efforts, the seeds of change are beginning to blossom.